Marco On The Bass: In Memory of Saxa: The Man, The Myth, The Legend! In Memory of Saxa: The Man, The Myth, The Legend! 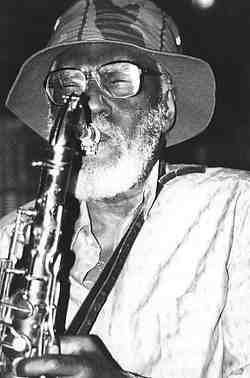 I heard the sad news yesterday that Saxa, the inimitable saxophonist for The English Beat passed away at 87 years old. And so, I wanted to share a post I wrote several years ago about what he meant to me and to other music fans who fell in love with him as a musician and a kind and loving soul. While the band were a unique union of many talents and personalities, Saxa was the glue that held the band together and his haunting and beautiful horn melodies was what set them apart. Sadly, I never saw Saxa perform live, but like many, I felt like I had always known him in a way. He was the kindly, father figure we all seek out. I love the sound of horns but I really love the sound of the saxophone. 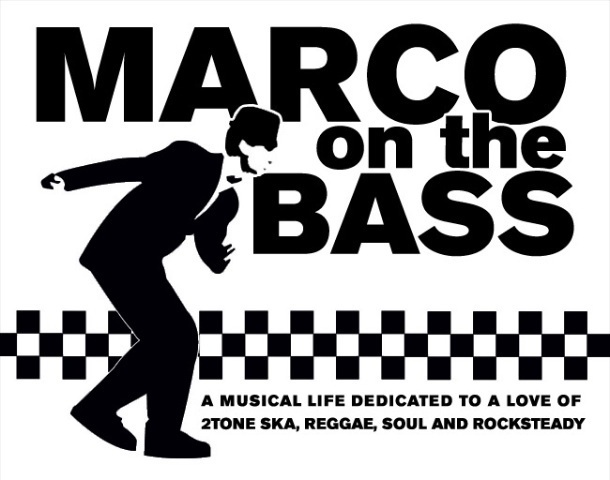 Indeed, if I had had more musical talent and technical skill this blog might have been called 'Marco On The Sax!' I did take a few sax lessons in elementary school and dabbled again as a teen but sadly it was not meant to be. However, I owe my love of all things saxophone to one man in particular -- Lionel Augustus Martin -- better known as Saxa! The Jamaican-born Saxa was a late addition to The Beat, joining as a session musician to add some saxophone to their first single, a remake of Smokey Robinson's 'Tears of a Clown'. Saxa's experience, gained while playing with ska and rocksteady royalty like Prince Buster, Laurel Aitken, and Desmond Dekker, absolutely contributed to the instant success of The Beat as the band's first single rose to Number Six on the pop charts (influencing Saxa's decision to join the group permanently). 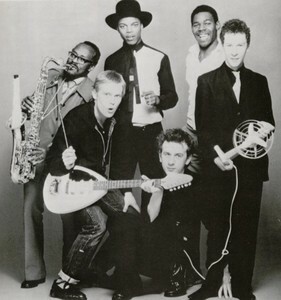 In fact, Rolling Stone in reviewing the band's first album 'I Just Can't Stop It' gave credit to the saxophonist describing it as "a rambunctious cluster of singles held together by tenor saxophonist Saxa's winning, authoritative blowing and a rhythm section ... that cared more about adventure than duplicating antique reggae." "I've never met anyone like him. Out of this world, totally. A brilliant fellow. As soon as he plays a note, he's got everybody in a trance. He's said some profound things. At first you start thinking, 'This guy is bloody mad,' but them when you're in bed alone at night and you're thinking about it, 'What did he mean by that?' and the all of a sudden you see there's a lot of truth in the things he said. So he's kind of a mystic man, I would say." Augustyn states (and I agree) that Saxa's ubiquitous sound and contribution to The Beat may have paved the way for saxophone use in many band's the followed in The Beat's wake like Romeo Void and Oingo Boingo and may have lead to the proliferation of the cliche sax solo in songs by bands like Duran Duran, INXS, Spandau Ballet, Wham and Wang Chung. In 1982 poor health forced Saxa to retire from touring (too much 'Kentucky Fried Chicken and Dubweiser' while on the road in the U.S. according to the long out-of-print 'Twist And Crawl' band biography released in 1981 ). His replacement, saxophonist Wesley Magoogan, previously a member of Hazel O'Connor's band, was seen as a worthy successor to Saxa because of his discipline as a musician. However, Wakeling's comment to Musician Magazine in the early 80's proved prophetic: "[Saxa] was one of the cornerstones [of the band], and the idea of losing someone that important had us worried that the whole thing might fall apart." Nevertheless, Saxa makes a cameo on the 'Special Beat Service' album cover -- he's dressed as a sheik surrounded by the band who are dressed as security guards. Saxa did re-emerge following his stint in The Beat playing some memorable solos for both General Public and Fine Young Cannibals (his solo on 'Funny How Love Is' may be one of his finest). He later joined drummer Everett Morton in The International Beat, a short-lived Beat-inspired band that eventually led to the creation of the Special Beat and the second incarnation of General Public in the mid-90's. And it was emphatic exhortation to David "Shuffle" Steele, the band's bassist, to join a band reunion during an episode of Band's Reunited, that will always stay with me. Below is a cornucopia of songs featuring some of Saxa's greatest solos including 'Big Shot', 'Can't Get Used To Losing You', 'Hands Off She's Mine' 'I Am Your Flag' 'Psychedelic Rockers' (one of my personal favorites) and 'Funny How Love Is'. Enjoy! Brilliant article. I`ve never heard anyone blow the sax like Papa Sax! I really admire Saxa--his sax playing took The Beat to a much higher level and is one of the key elements of the band's sound on their first two records. He's brilliant! I met Saxa 30 years ago - and everything they say i true - a mystic fe true! Saxa's the man.. great article. A good read on a bad day. Cheers. Marco On The Bass Celebrates Third Anniversary!